Well, I think I would prefer to just write off last week. In its entirety. Pretend it never existed. Among the biggest face-palm tragedies was a fried computer after an early-week storm. Thank goodness for back-ups and a husband who knows how to rebuild computers but that handicap alone pretty much crippled my week. And the fun plans I had didn’t happen either – no Beauty and the Beast, no mani-pedi, no productivity marathon (or even a successful laundry session for that matter)… but it’s done and I’m optimistic I’m going to totally dominate this week. Actually, that deserves some ALL CAPS excitement, virtual hands pumping in the air and lots of!!! If your week was less than stellar or if this week hasn’t started out the best, let’s do what we can do to make it a good one! This post has been a long time coming and as my collection has grown, I realize more than ever, I have turned into my mom. She never met a basket she didn’t like and when she comes to visit, she rarely goes back home without a new addition. I suppose the same can now be said for me. But the truth is, baskets are the perfect solution to so many “what should I put here?” and “how do I organize this?” debates. 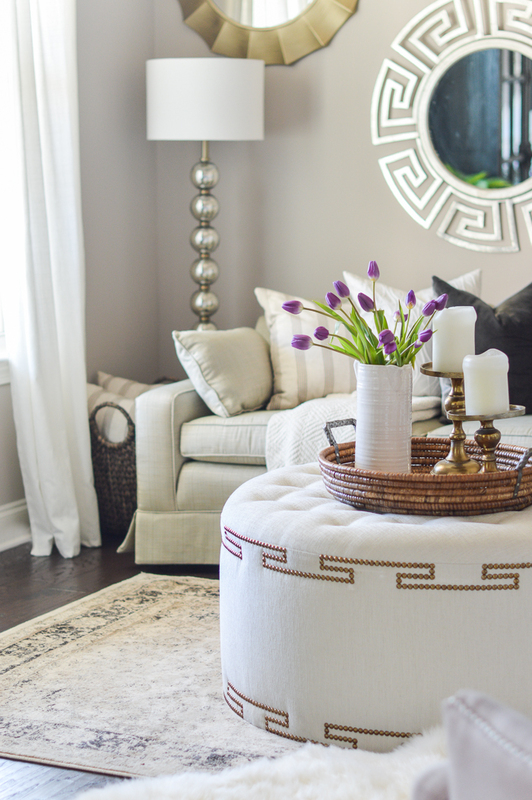 I use them all over my house but today, am highlighting a 11 ways to use baskets for storage and decor in your home. 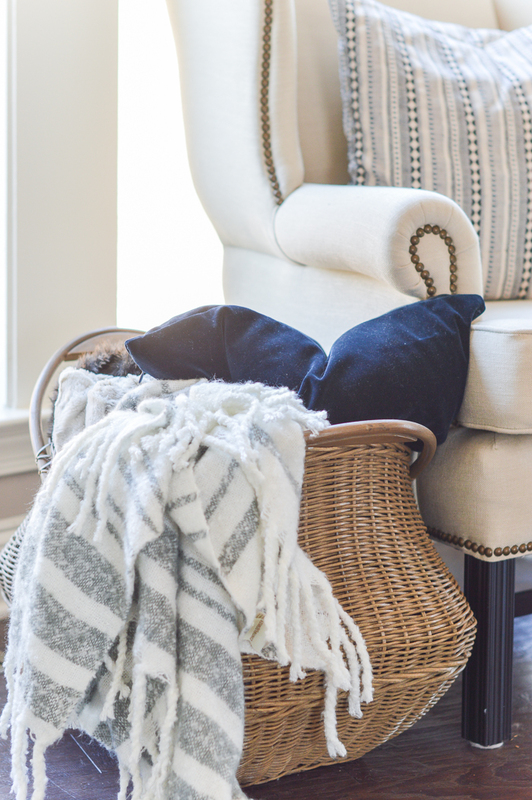 The perfect solution for extra storage for your linens – baskets holding pillows, throws, and blankets are perfect for smart storage solutions and decorative accents. I use them in my living rooms and bedrooms without exception. It is rare my faux plants come in the perfect pot. 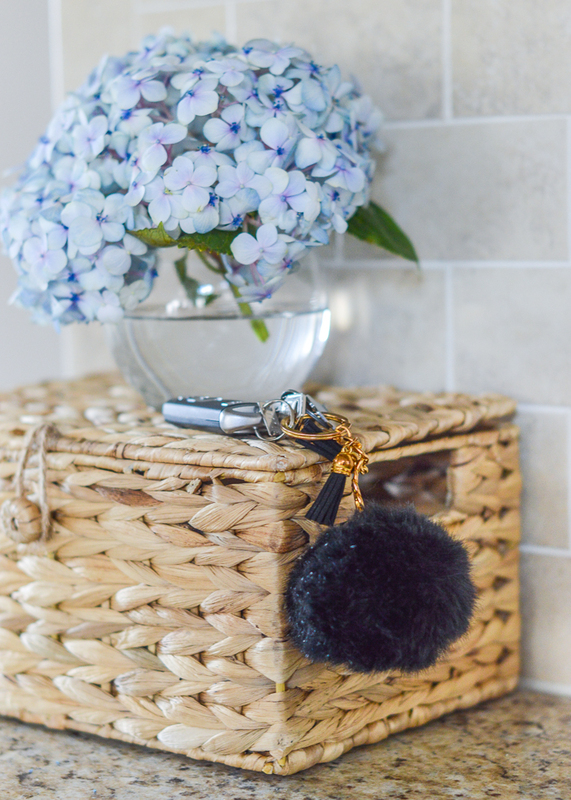 You can hide them and make the look totally intentional by placing it in a narrow basket. If it is too deep, use some towels or newspaper to prop it up. I am all about trays on every surface; they help corral a bunch of collected items and make them appear less knick-knack-esque. 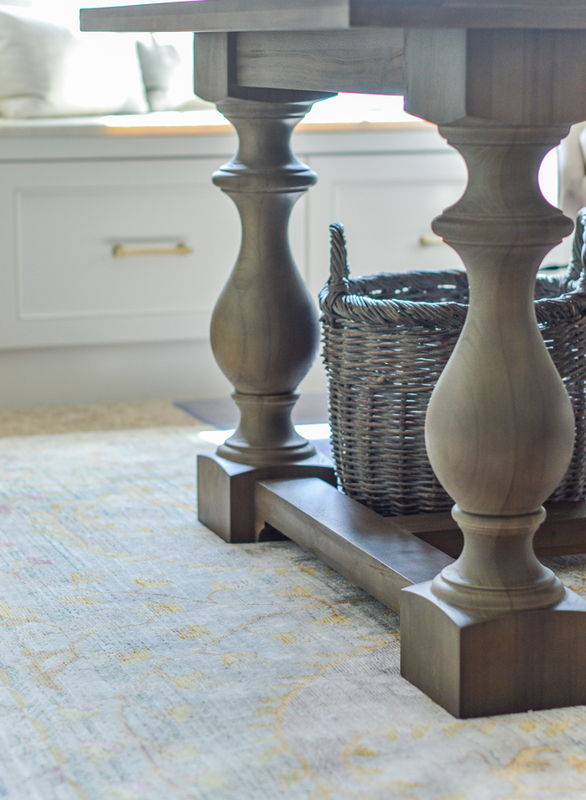 I have found some awesome woven basket trays over the last year which have made appearances from my ottomans and tables, to my kitchen island and bed. 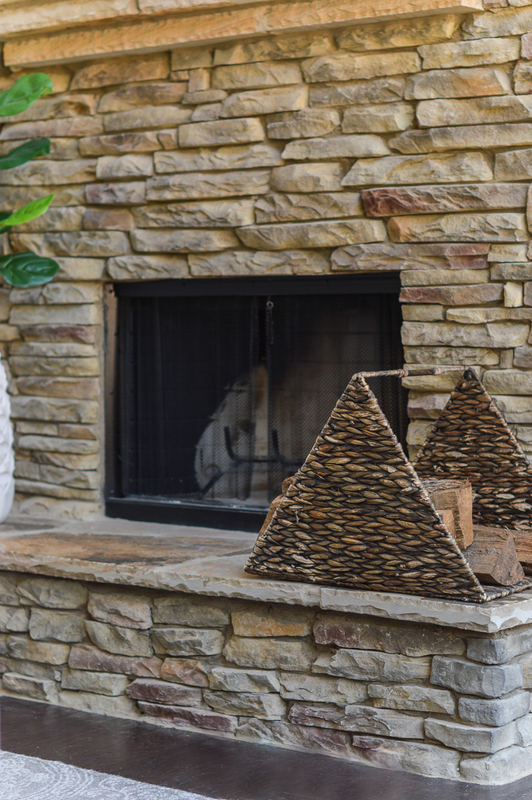 Whether you prefer the log-carrier version for vertical logs or want a regular basket to load wood vertically, using a basket for firewood on your hearth is both pretty and practical. 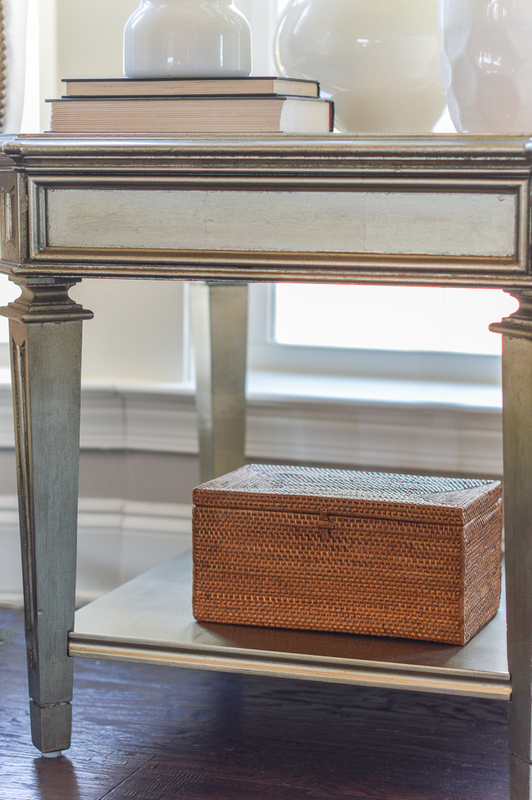 If you have items in your living room you want to stow away but still keep within reach, look for a small basket you can keep on display. Mine is actually intended for toilet paper 😉 . Our powder room has a pedestal sink and no shelving/drawers/storage of any kind. 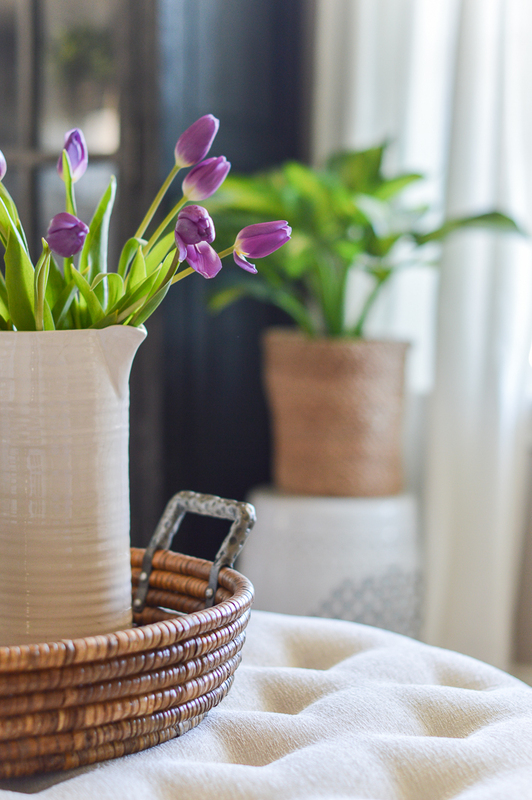 I recently added this lidded tulip basket and I can’t tell you how many rolls it holds (a TON). At one point, I had a small-ish hamper but prefer this oversized, round number 10-fold. Remember my junk drawer/stationery desk organization project I tackled recently? I have improved on my distribution substantially but whenever we get a new piece of mail that will need attention soon, it goes right here. I vowed not to throw anything in my drawers (because that is a downward spiral disaster waiting to happen) but putting them in a closed box on top of the counter has worked really well without paper clutter getting out of hand. You know how expensive cute little trash cans can be? I don’t know who decided to make them so expensive but I’ve pretty much boycotted actual trash cans serving the purpose of trash receptacles in our house. As a matter of fact, I’m fairly certain most every trash can we have is a basket. Yes, my hamper basket is actually a hamper but like trash cans, hampers can be expensive. There are no rules that say you can’t use a cute basket in it’s place. 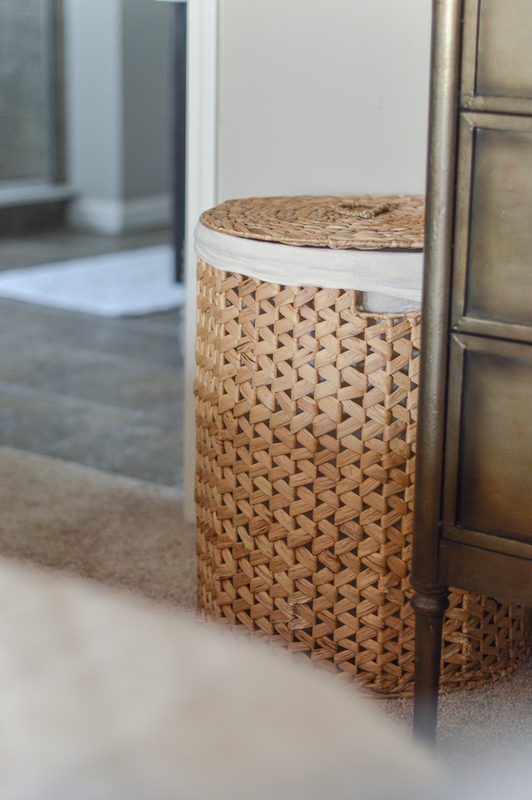 Bonus points if you keep a basket/hamper in your guest room(s) ;). 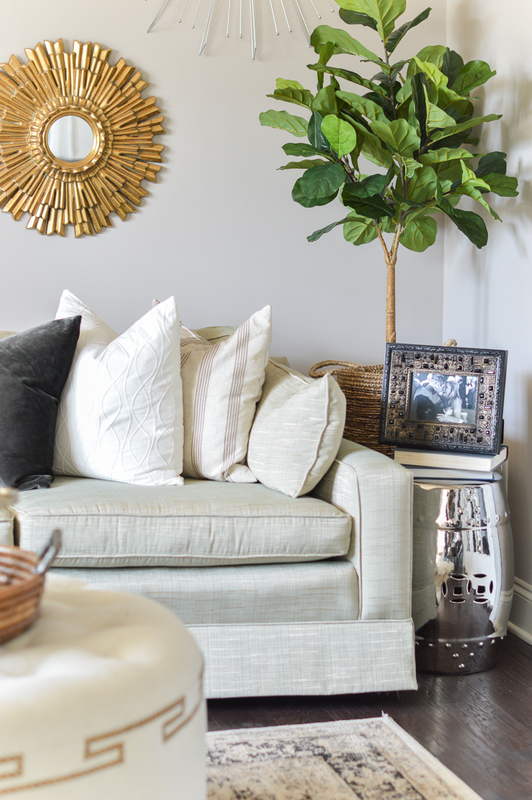 Did you catch my office makeover project (HERE)? 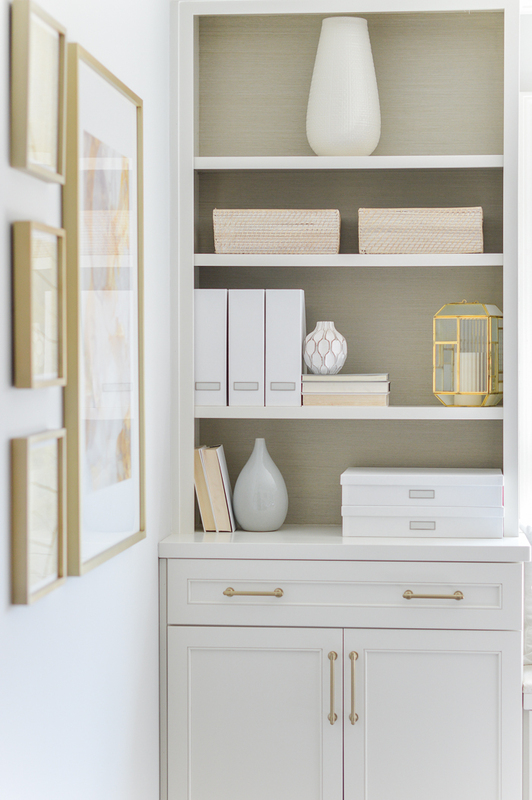 Repeating the same basket across your built-ins gives an attractive, cohesive look and helps make up for any drawer/cabinet space you may lack. 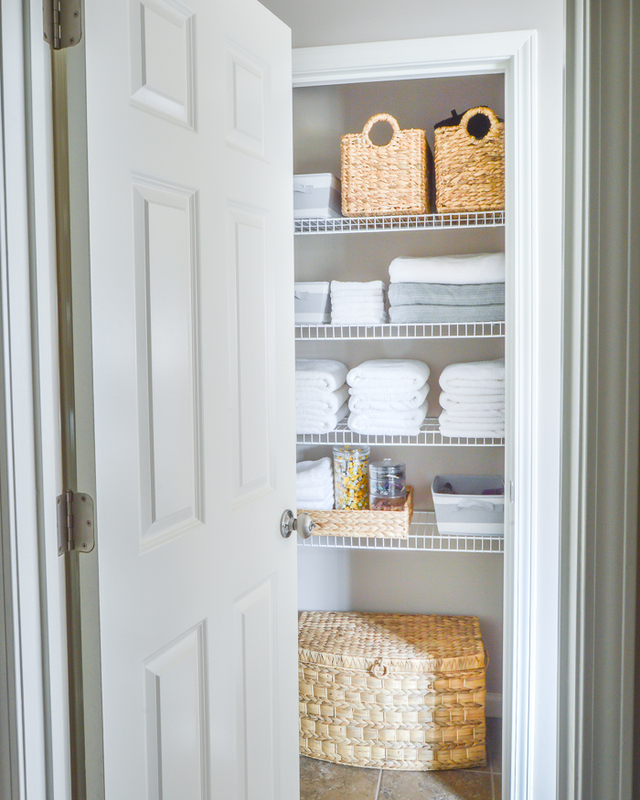 You may have seen my bathroom linen closet project (HERE); if so, you know that this project was critical to help create a system that was easy to stick to and make up for my one wimpy vanity drawer. If you aren’t using baskets in your pantry, take a look to see if it could benefit from some, also. If you’re a basket hoarder connoisseur like my mom (and me), let me know your favorite ways to use them in the comment section below! 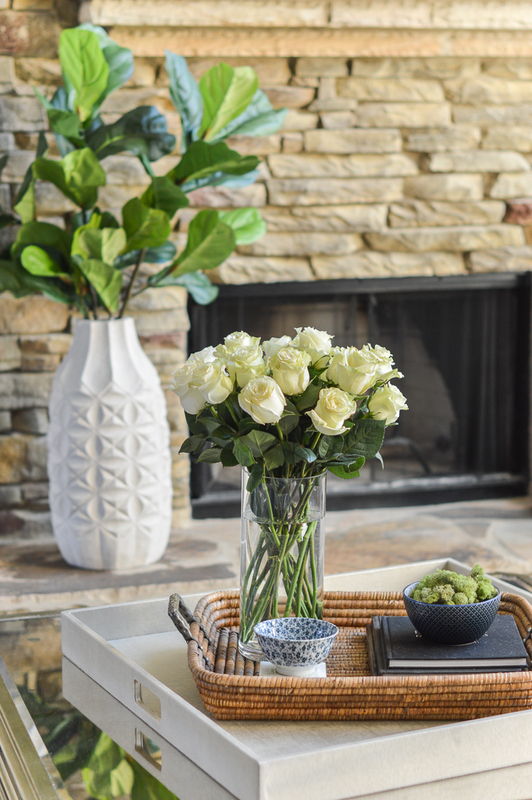 Stay tuned for some fun spring posts ahead – my Easter table is set to launch tomorrow and I have some outdoor space reveals launching in the next couple of weeks! 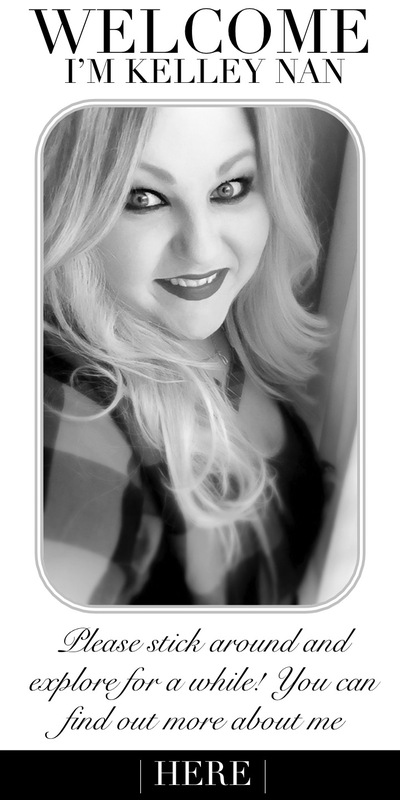 Bree, thank you so much sweet friend! Stephanie, that is SO smart! I will admit, most of mine are trial and error and even when I get something for a space that doesn’t fit, I keep it and put it somewhere else haha! I LOVE good baskets! I love baskets! Thanks for some new and great suggestions! I love this! I’m glad I’m not the only one with a basket obsession! 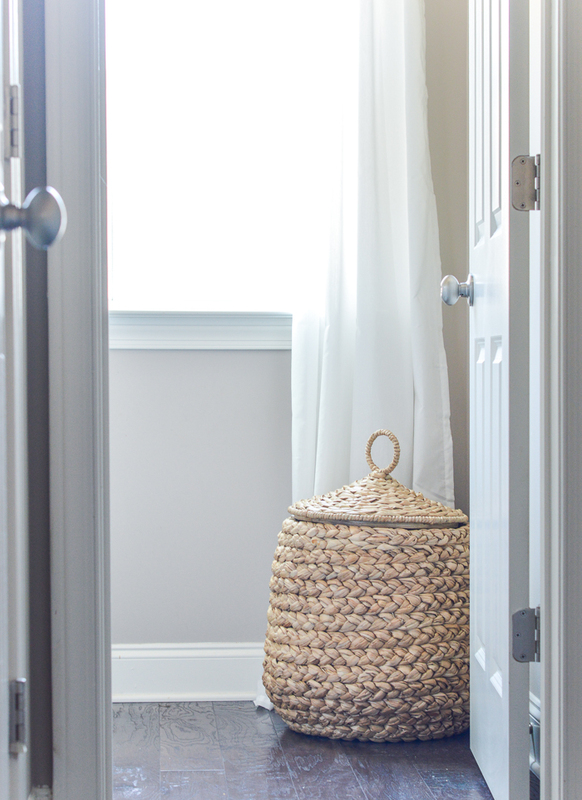 This basket post inspired me to utilize the empty baskets I had in the laundry room to just look good. I filled one up with the laundry supplies (soap, dryer sheets, etc)…that freed more room in my cabinet; another is doing a great job keeping cleaning rags and towels; and the 3rd is now holding all my pet supplies! I have more cabinet space and everything has a home. Thanks Kelley for your post. Bennie, that is awesome!You would probably scream if you saw my laundry room. Baskets are a fantastic thing! I love baskets. I recently found a nice wicker tray. Check out my blog to see it. Awesome ideas Kelley! I have always seen baskets as pillow storage but I never imagined baskets as planters. Cool! They are definitely great for organization. By the way, which was your favorite? Emmerey, thank you! Hmm… hard to pick. I couldn’t do without pillow/blanket baskets but those aren’t the most creative uses. It’s hard to say! 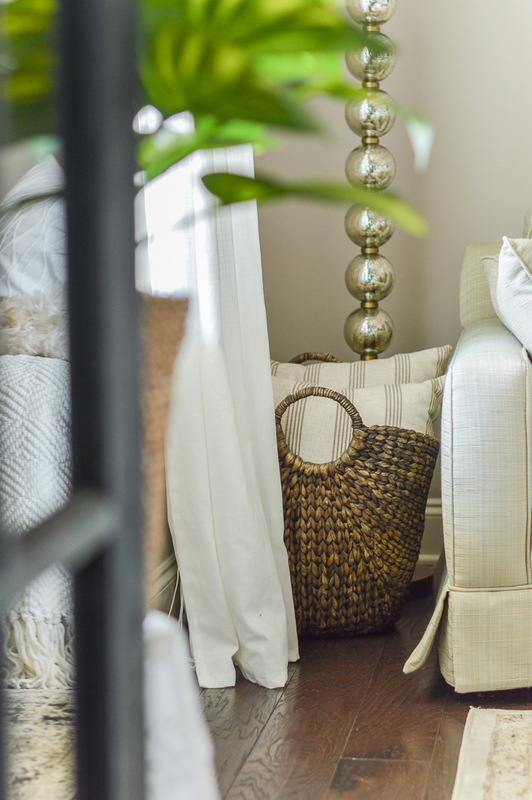 I think it was really lovely how you used a basket as a pretty storage for those extra linens and pillows found in the living room. I agree that it’s both functional and decorative at the same time. I was actually planning to buy a basket next month because I suddenly had the urge to use one in the living room. It depends on the size of the basket that I will buy, but I will make sure to follow your tips when it comes to finding a good use for it. Thanks for sharing! I know I’m late to the party here, but this list was really helpful for decor ideas. Do you have any suggestions for things to do with smaller baskets (tabletop size, around the 12″ range)? The ideas are absolutely stunning, it’s cost effective and adds beauty to your living area.